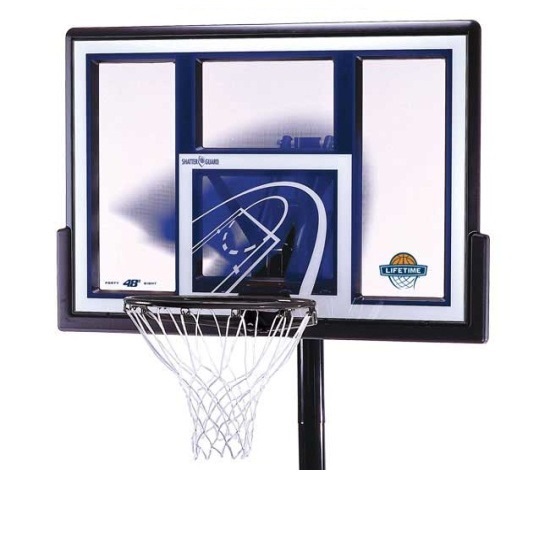 If you've determined to spend for a permanent in-ground basketball hoop, the Shatter Proof Fusion in-ground basketball hoop is a fantastic no-break, look-great hoop that you'll delight in for many years ahead. 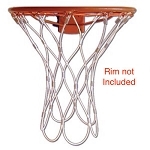 The Makrolon polycarbonate playing surface of this in-ground basketball hoop supplies superior rebounding performance and a pro-glass appearance you'll adore, in addition to the Lifetime Slam-It Rim with spring-back action. 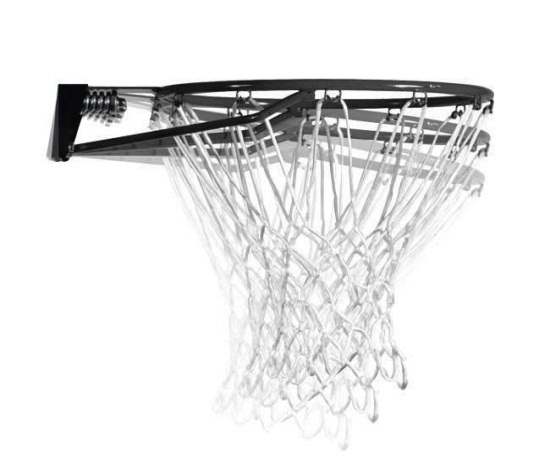 This backboard height is easily changeable with the upward pressure of a broomstick. 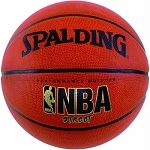 Lifetime in-ground basketball hoops call for cement and a suggested ground sleeve for permanent installation which gives you the obvious advantage of utmost firm security. 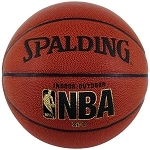 All of Lifetime's in-ground basketball hoops are climate resistant to rusting, chipping, and fracturing. In-ground basketball hoops are a great investment. Extension Arm Type: (the arms that attach the backboard to the pole) Y-bracket assembly with straight tube arms gives strength and durability. UV Backboard Graphics: Yes, Ensures graphics and borders won't fade over time. 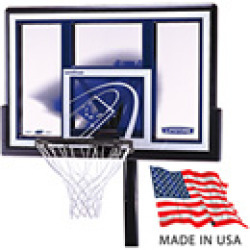 Backboard Frame Pad: Includes backboard frame pad to help protect players from impact. 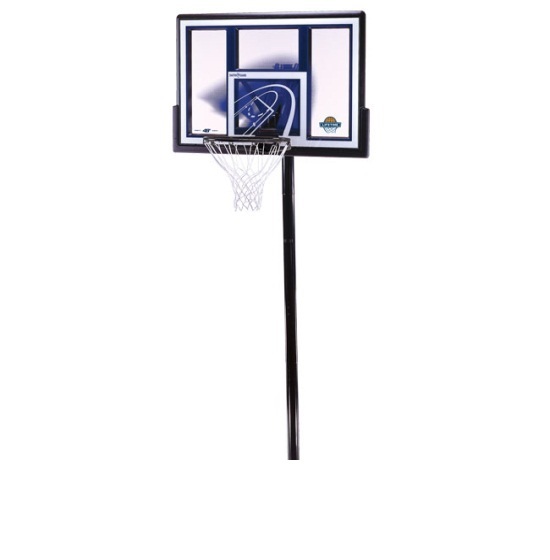 Overhang Distance: 22" from front of pole to back of backboard. Net included: Yes. Net is a standard 12-loop net. 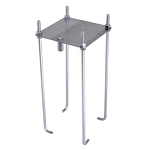 Height Adjustment Type: Uses the Quick Adjust height adjuster invented by Lifetime Products. Adjustment Details: Using a broom stick this can be quickly raised and lowered. 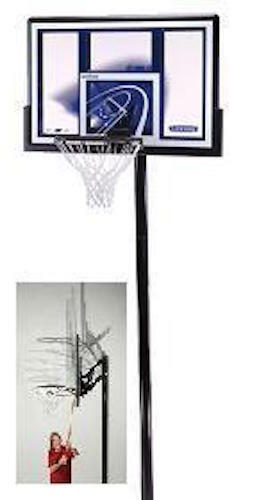 Rim Adjustment Heights: 8 feet to 10 feet in 6 inch increments. Pole Pad: Sold Separately Part # 0602. 3-piece pole goes directly into concrete or you can use a sleeve. Footprint: In-ground footprint is approximately 18" diameter. Good product, quick and easy, nice delivery timeframe! We received the hoop, it is not up yet but looks good. 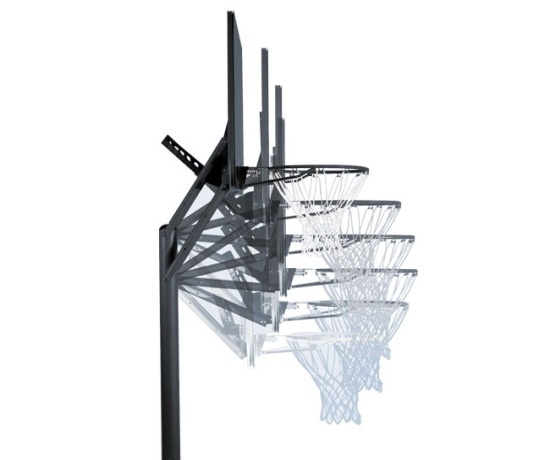 A: You would need a backboard and rim combo such as model 73729 and then the corresponding brackets such as model 1044. 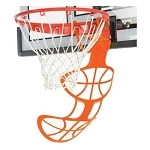 Q: Can an 8 year old play on this basketball goal or is it too high? A: Yes, they can play on it. How well they shoot depends on the 8 year old as some are very good shooters and others need to lower the hoop to learn proper shooting form. Q: Can I dunk on this hoop? A: Absolutely, this is designed for shooting, lay ups, and dunking. They do not recommend hanging on the rim, however. Lead Time: Generally ships out within 48 hours. Shipping can take between 3 to 10 days depending on your location. Item ships from Clearfield, Utah.